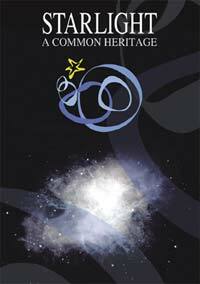 This book contains a compendium of articles from the most relevant cmmunications to the “International Conference in Defense of the Quality of the Night Sky and the Right to Observe the Stars” held in April 2007 on the island of La Palma (Canary Islands), together with other outstanding contributions and authors in the different subjects related to the protection of night sky quality. It also includes the statements by several organizations which supported this initiative: UNESCO, European Parliament, IAC (Instituto de Astrofisica de Canarias), IAU (International Astronomical Union), La Palma Biosphere Reserve, Convention on Biological Diversity, Ramsar Convention, European Landscape Convention, Convention on the Conservation on Migratory Species of Wild Animals (CMS), and IDA (International Dark Sky Association). The publication approaches the different dimensions of night sky protection trough articles that can be of great utility, dealing with issues of dark sky awareness. Published by IAC (Instituto de Astrofísica de Canarias) and jointly prepared with UNESCO, MAB, WHC, IAU, La Palma BR, IAC, and the Spanish Ministry of the Environment. The pdf file of the publication is available in the Starlight Web Site.